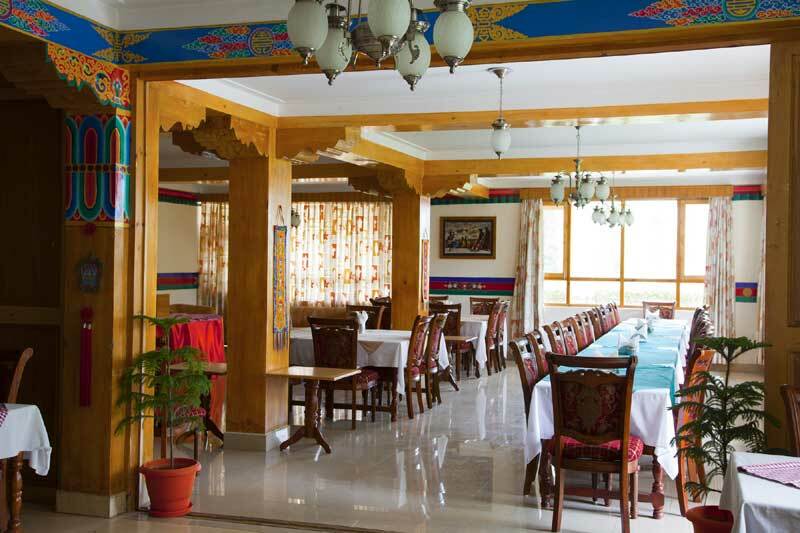 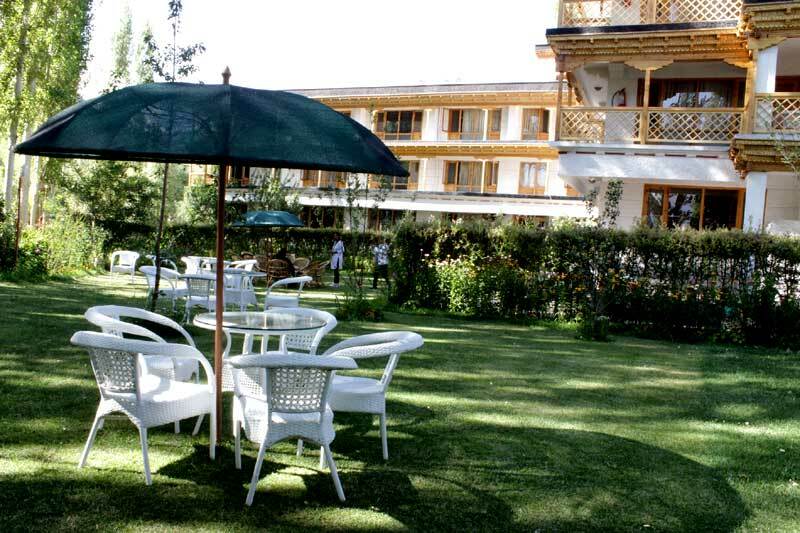 Set amidst the serene environment of Skara, a quiet part of Leh Capital of Ladakh, Hotel Caravan Centre is built in the traditional architecture of Ladakh and presents a pleasing ambiance. 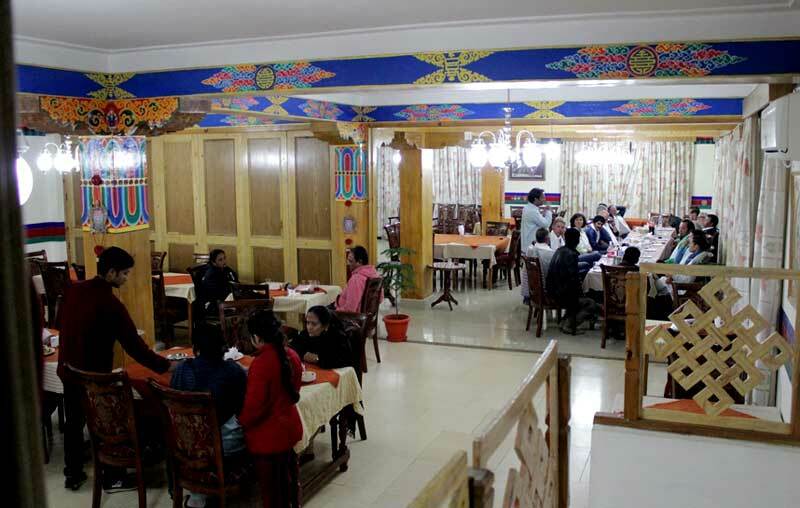 Located midway between Leh Airport (03 kms) and the old City Centre (02 kms), the distance between the hotel & the old Leh Bazaar is a mere 10-minute-drive or a 25-minute walk amidst the sights & sounds of this quaint town. 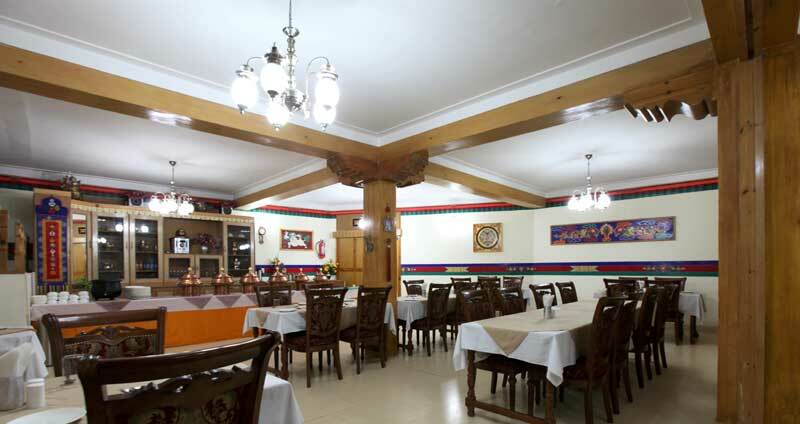 However, the nearest markets at walking distance of 10 minutes or so from the hotel are the bustling new markets of Skara on the one side and the Skalzang-ling market on the national Highway on the other. 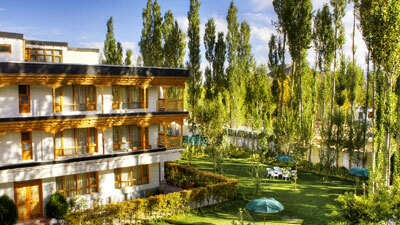 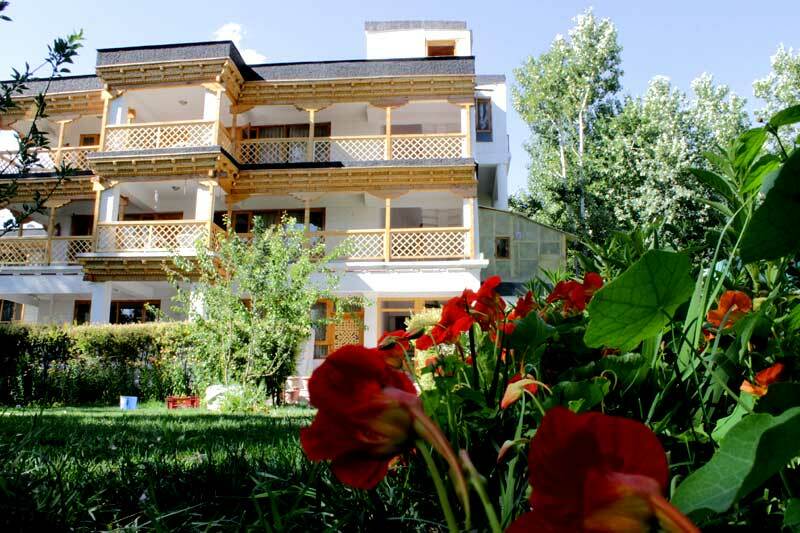 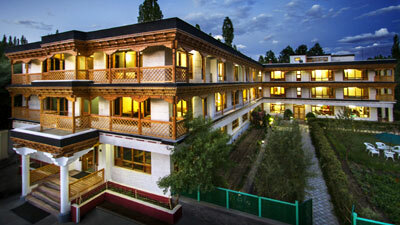 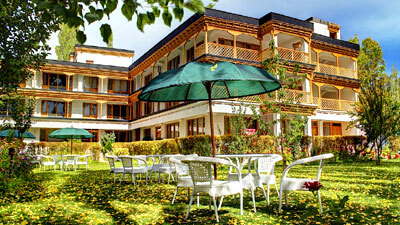 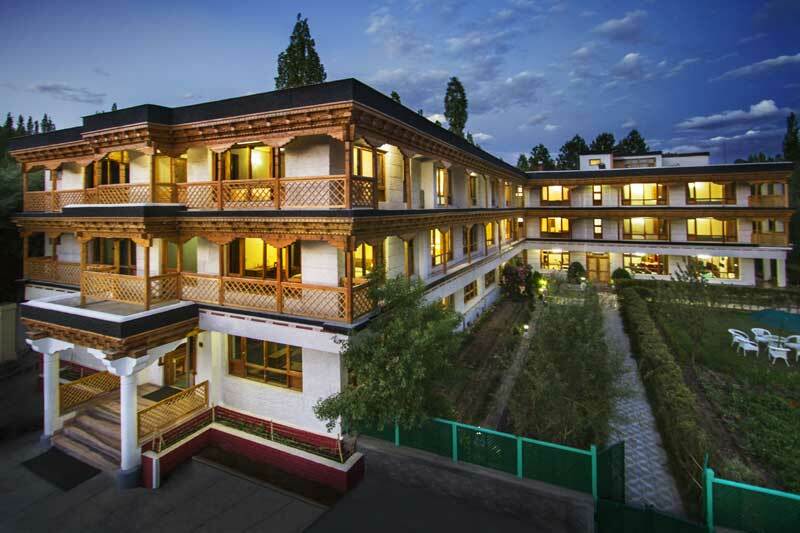 The Caravan Hotel is like a garden retreat tucked away from the crowded city centre, nestling amidst scenic surroundings with the Stok Khangri range of the Himalayas seen towering in the front view. 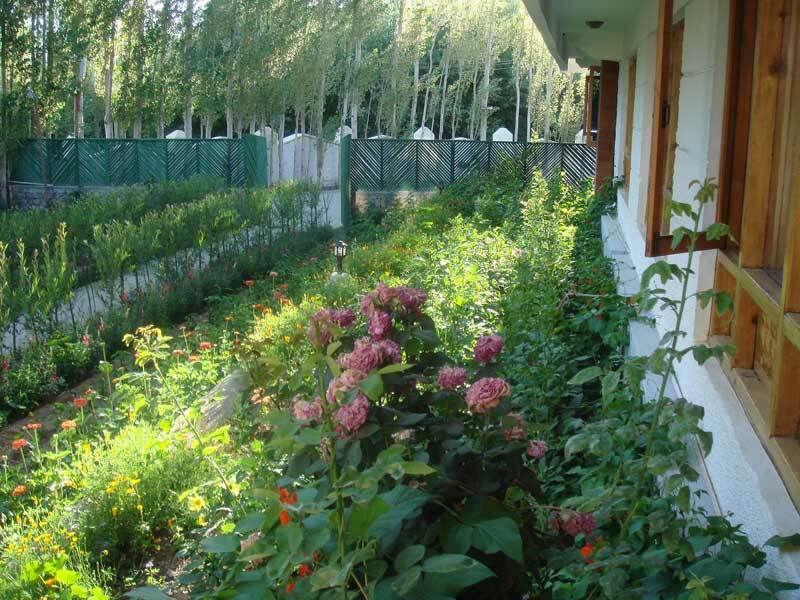 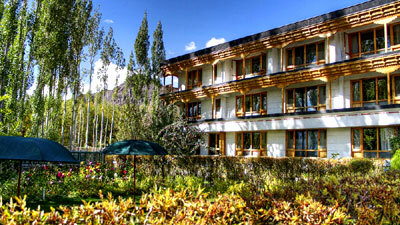 Surrounded by well laid out gardens and rural landscape, the hotel offers a welcome retreat from the stark landscape of Ladakh. 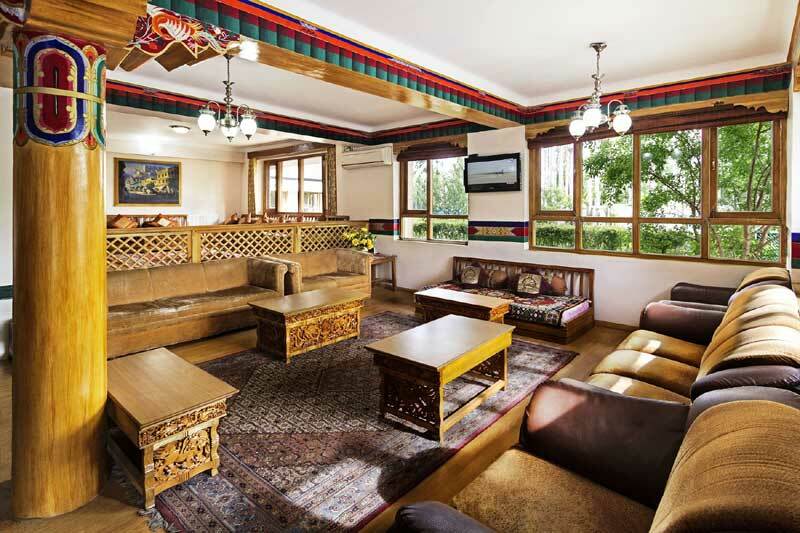 Managed by the local owner family with personal care and sensitivity towards the comfort of the guests, the Caravan conveys a warm homely atmosphere, especially suited for families and those looking for a quiet stay during their Ladakh exploration.